Giant Bicycles has finally joined just about everyone else and is offering a fat-bike called the Yukon. It will come in two models the Yukon 1 and the Yukon 2. The two new models are both aluminum with 27.5 wheels. MSRP is $1630 for the Yukon 2 and $2100 for the Yukon 1. 8 Responses to Giant Bicycles Jumps into the Fat-Bike Arena with The YUKON! Kind of run of the mill. Too bad. 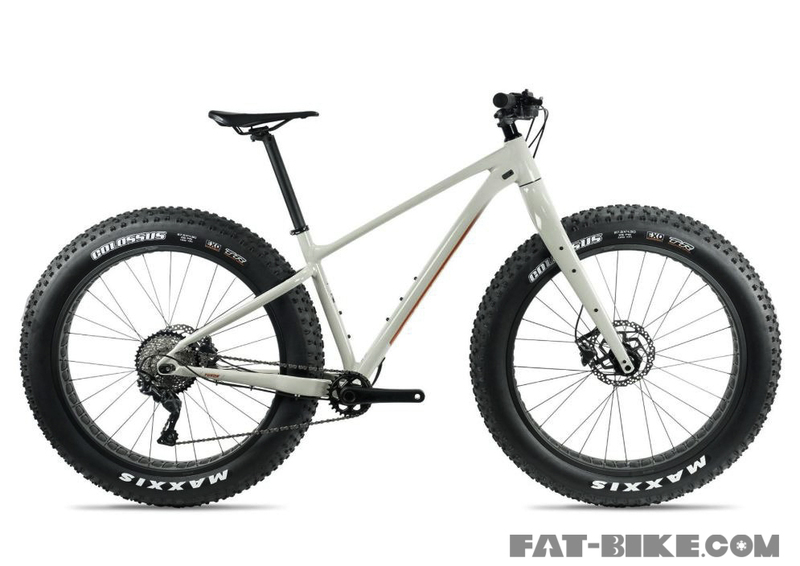 With all the fat bikes out there to chose from ,Giant could have really “Jazzed” theirs up considering how late they are to the party. Bike companies are lining up to force e-bikes down consumers throats and when one of them offers up a new pedal-powered fat-bike all the public can do is spew negativity. This is the opposite of “too bad”. This is a move in the right direction. Love the Metallic Wine Burgundy color!! Nice looking colour. I also like the fluidity and thinness of the frame tubes. Good on Giant for joining the party. Gomez. No disrespect. I was merely commenting on the geometry and specs. No suspension option and standard angles. You know my feelings well on the battery operated eye sores. Kind of looks a lot like a Norco Sasquatch, done Giant-style ie. Cheap out where you can. I would think that unless the geometry is way out there, that a suspension fork could be added. Looks nice, but nothing special. Of course giant has nothing surprising. Its a shift from my Ventana that they are using 27.5 – which has happened moderately recently. Good to see tubeless out of the blocks. I’d like to see them offer 65mm rim wheels and manitou fork as an allyear option in the southern hemisphere. It will be a sporty bike, assuming the 85mm rims aren’t too heavy. I get fedup waiting for 4.6 tires on 90mm rims to go from edge to edge. 65mm rims will improve that dynamic though, whilst using same tires.